Teams is a vehicle for open communication, which is why structures like org-wide teams exist. In the case of public teams, anyone can join the team by adding themselves to the membership, and in the case of private teams, users can request to join the team. These requests are then processed by team owners, who decide to accept or deny the request. On April 2, Microsoft issued Office 365 notification MC177013 to say that Teams supports a new option to allow team members to nominate others to join private teams. The change is now rolling out and should be complete by the end of April. In a nutshell, instead of someone asking to join the team, an existing team member can now propose (request) them for membership. A nomination from someone trusted (because they’re already a team member) is more likely to be accepted by a team owner than a request coming in from J. Random Nobody. To nominate someone, click Add member from the […] menu or the team’s Manage team menu. You can then input the names or email addresses of the people you want to join the team. Only individual tenant accounts can be proposed: you can’t add guest users or use distribution lists to add a set of users. Once done, click Send Request. Teams notifies the team owners that pending requests are waiting action in their activity feed and via email. Team owners can click the link in the email notifications or the entry in the activity feed to be brought to the set of waiting requests. These include requests made by team members and those generated by people who proposed themselves. The owner can now accept or deny the requests. People who are proposed and accepted don’t receive a notification that they’ve been successful. Instead, Teams adds the team to their list of teams and notes the new membership in the General channel. The user can access the team immediately (if they are logged in) or the next time they start Teams. Changes like this happen all the time. 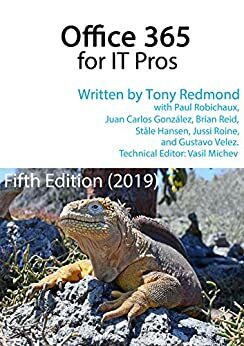 This one is small (unless you’re being nominated to join a really interesting team), but we’ll note it in Chapter 13 of the Office 365 for IT Pros eBook.